Hi everyone. I wanted to share the few cards with you. The beautiful creation above was made by my good friend, Nancy Littrell. When I made my first set of card candy, I sent a package of each to Nancy and she has used them on several of her cards. Thank you for letting me share your card, Nancy ... I absolutely LOVE it!!! I sent packages of my second card candy to another wonderful on-line friend, Bonnie of Stamping with Klass. 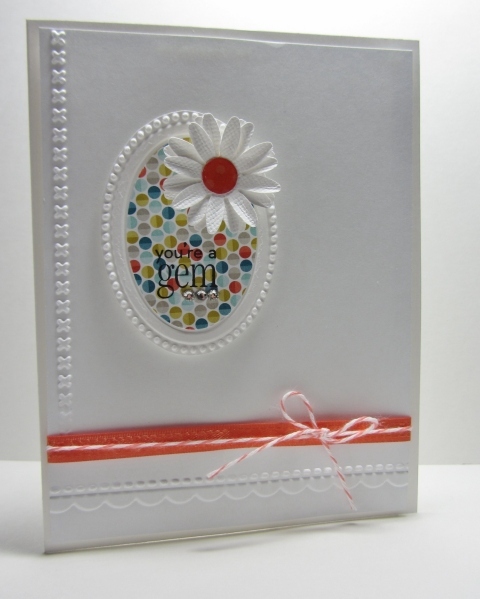 Today, I was excited to see that she made a card using my large daisy as her focal point ... and she agreed that I could share it with you. Thank you Bonnie ... 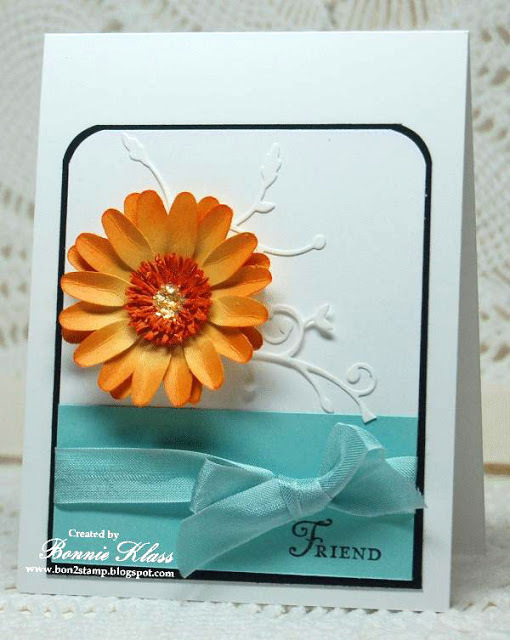 I am so happy that you liked the flowers and the card you created is amazing! Welcome to new member Julie!!!! How delighted you must be to see your candy used so brilliantly on these cards! A tribute to your talents, Lolly!! How lovely of you to post these, they have made great use of the candy, off to tell them myself! Loll, has Nancy got a blog? Your card candy is AMAZING, Loll! I saw Bonnie's card already this morning and planned to cisit you and tell you so. Then this post of yours showed up in my blog feed. Thanks for sharing these cards! Nancy's card is a gem. Bonnie's card too! Candy for cards has a double meaning.The gift that gives back. Thanks again for the "candy" and for the shout out! Your card candy looks fab on Nancy's and Bonnie's cards, Loll! Both of those cards are really gorgeous. How nice of you to share them on your blog with us. Absolutely wonderful.